I had to travel to London for business last week, and after finding myself with a few hours to spare before meeting up with colleagues, I decided to take a walk from Kings Cross along the canals, through Camden Town and eventually ended up in Regent’s Park where I very happily stumbled upon Frieze Sculpture 2018 – a free art exhibition featuring 25 works by contemporary and modern artists. It made for a very lovely Sunday stroll. 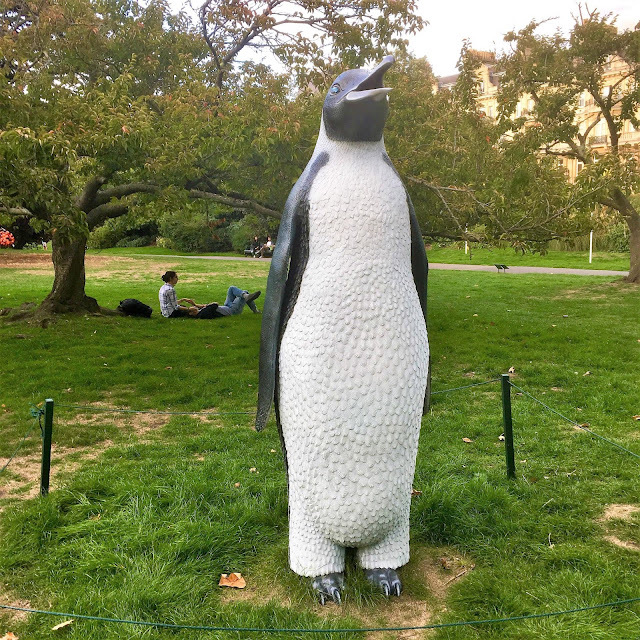 Frieze Sculpture returned to Regents park this summer for three months with visitors enjoying exceptional sculpture from around the world. The diverse artworks are located in the English Gardens, designed by Markham Nesfield in 1866. It is an unusual and really enjoyable and interesting cultural attraction at the heart of the city in London. As you walk around each piece has information relating to it but there is also a free audio tour that can be downloaded or accessed via an app – this was really good to see and listen to as I walked around, and later re-listened to in my hotel room as I viewed the photographs I’d taken. There are 25 free sculptures at Frieze from artists around the world including Tracey Emin but it was this one that definitely had the most impact on me. 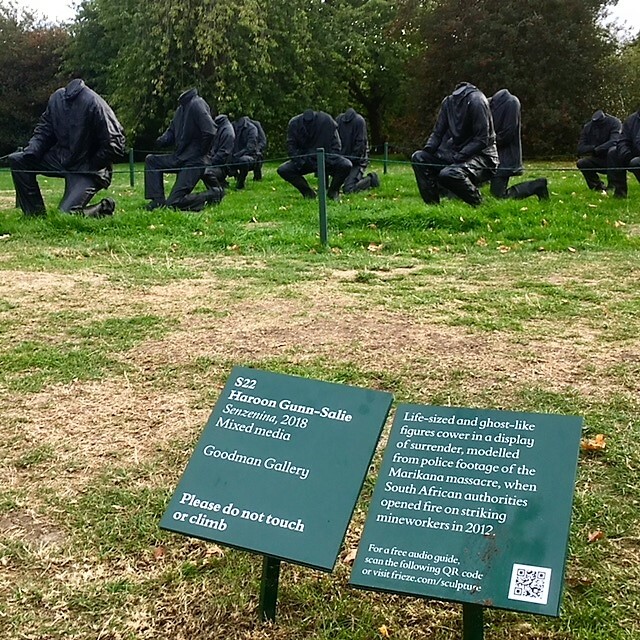 Senzenina by Haroon Gull-Salie remembers by the Marikana Massacre when 34 striking miners were killed in South Africa in 2012. The casts are made from footage from the positions of the men at the actual time of the massacre. I was shocked I didn’t know about it and even when you google it there is information but not that much. We really can learn something new every day. Here are some of the other artworks on show. 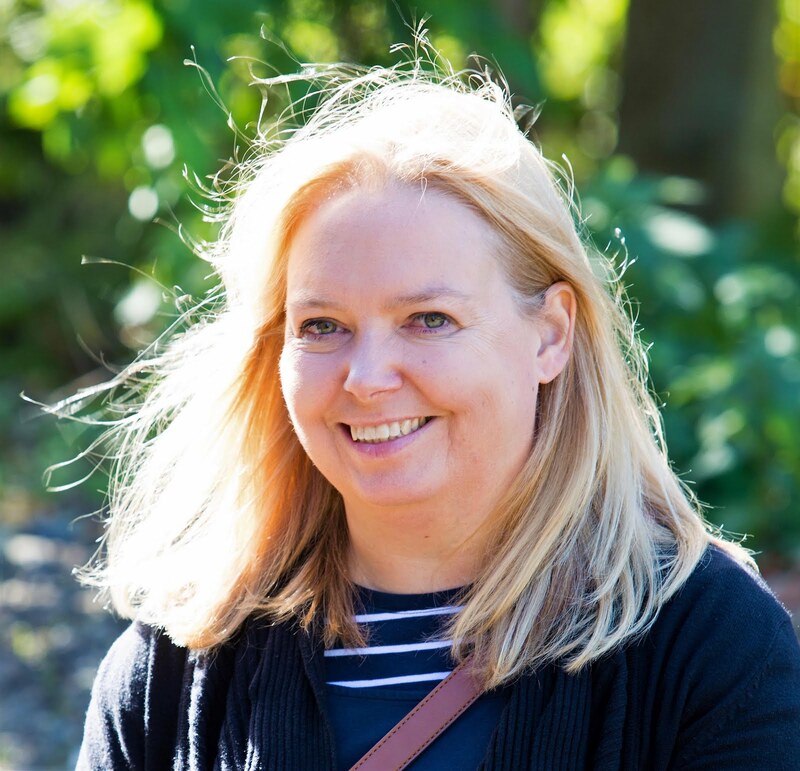 The curator, Clare Lilley who is also Director of Programme, Yorkshire Sculpture Park, said that she hoped that the exhibition will give pause for thought as well as great pleasure and that visitors to Regent’s Park will have a snapshot of the fantastic imagination of artists and variety of sculpture being made today. It certainly did. Some pieces amused me, some really shocked me and also made me learn new things about the world I live in – now that’s great art to me. Frieze London is open until 7 October 2018 in London’s Regent’s Park. 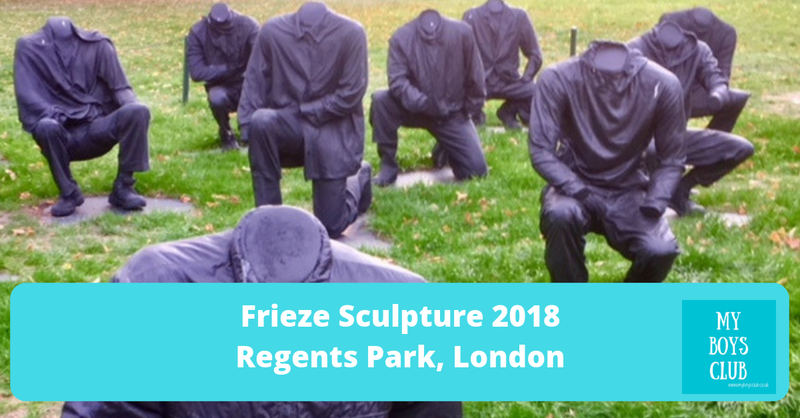 You'll find Frieze Sculpture 2018 in Regent's Park, London until 7 October 2018. 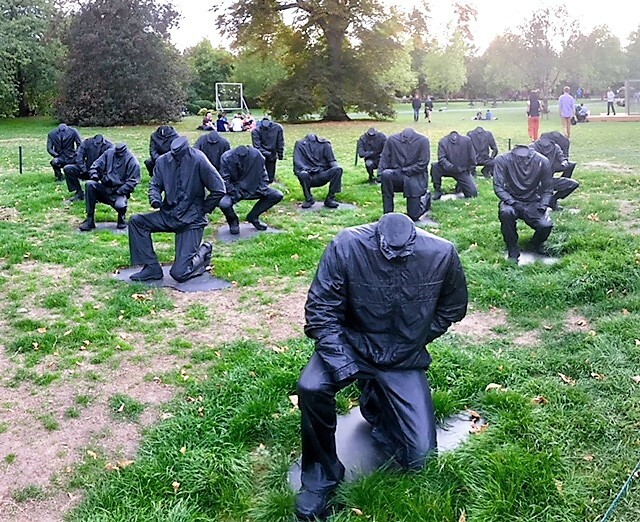 It is located in the English Gardens and entrance to Frieze Sculpture is free to the public. Frieze Sculpture is accompanied by a free Audio Tour by Clare Lilley and family trail. What have you stumbled across recently?